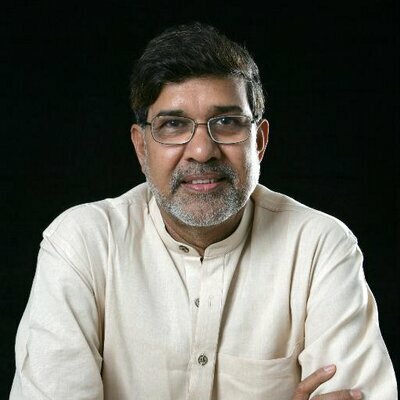 He created the world’s largest civil society network for exploited children and now Kailash Satyarthi is to become the latest Nobel Peace Laureate to join the One Young World family. The Indian children’s rights activist will be one of three Nobel Peace Laureates taking to the stage at One Young World’s 2018 Summit in The Hague, Netherlands. He will join the founder of the Grameen Bank, Professor Muhammad Yunus (Nobel Peace Prize winner 2006) and the freedom of expression campaigner Tawakkol Karman (Nobel Peace Prize winner 2011). Mr Satyarthi was awarded the Nobel Peace Prize in 2014 for his “struggle against the suppression of children and young people and for the right of all children to education”. He was the architect of the historic Global March Against Child Labour in 1998, which brought together NGOs, trade unions, teachers and children in a vast protest that took place in 103 countries and advanced through five continents to Geneva. It led to the International Labour Organisation adopting Convention 182 against child labour. Mr Satyarthi also created the Bachpan Bachao Andolan (Save The Childhood), a grassroots movement which has liberated 84,000 children from exploitation, providing them education and rehabilitation. He is founding president of the Global Campaign for Education, a civil society movement working to end the global education crisis, and of GoodWeave International, which raises consumer awareness and positive action in the carpet industry. His most recent initiative is a global call to action for a world where all young people are free, safe and educated. From Ghana to Sweden, Peru to Bangladesh, the USA to Liberia, the 100 Million campaign is led by youth activists working together in their communities to end the exploitation of the world's most excluded children. Professor Yunus, a Bangladeshi banker and economist, developed the concept of microcredit, providing small loans without requiring collateral. Grameen Bank, which formally began in 1983, has grown to more than 2,500 branches and more than nine million borrowers, with a repayment rate of 99.6 per cent. The author of ‘Banker to the Poor’, Professor Yunus has been one of One Young World’s most valued and loyal Counsellors, having attended and addressed every one of our Summits. Ms Karman is a mother of three as well as a human rights activist, journalist, politician, President of Women Journalists Without Chains organization. She is known as "mother of the revolution", "the iron woman", and "the lady of the Arab spring". She was awarded the Nobel Peace Prize for her work in non-violent struggle for the expression rights, safety of women and for women’s rights to full participation in peace-building work in Yemen. Then aged 32, she became the youngest-ever Nobel Peace Laureate and the first Yemeni and first Arab woman to be awarded the prize. She attended One Young World’s 2017 Summit in Bogotá, where she spoke on the role of the media in holding power to account and as a counter to corrupt and dictatorial regimes. The Summit in The Hague will also remember the late Kofi Annan, the Nobel Peace Laureate, former UN Secretary-General and One Young World Counsellor. Last year’s Summit in Bogotá featured another Nobel Peace Laureate, the former President of Colombia, Juan Manuel Santos, who was the recipient of the Nobel Peace Prize in 2016.